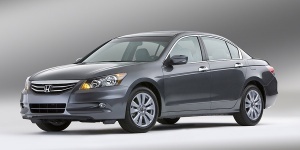 For 2011, the Honda Accord sedan and coupe receive subtle styling changes. The front bumper and grille have been re-shaped for 2011, while in back, the lip of the trunk lid and the taillights have been revised. A new SE sedan model features leather on an otherwise base trim.